Born with more challenges autism, cerebral palsy and brain malformation than most of us will face in a lifetime, my sons perseverance and personality have made him a hero to many. 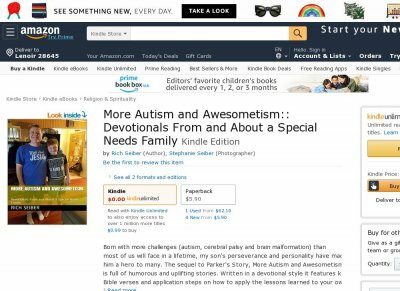 The sequel to Parkers Story, More Autism and Awesometism is full of humorous and uplifting stories. Written in a devotional style it features key Bible verses and application steps on how to apply the lessons learned to your own life.